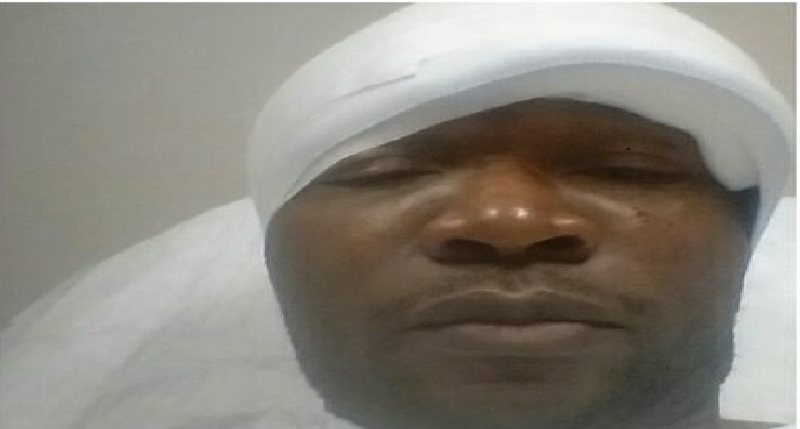 Brussels – The leader of the Ambazonia Governing Council, Dr Cho Lucas Ayaba was brutally attacked yesterday in Antwerpen, after what was described as a successful meeting with the acting leadership of the Consortium. The attack came about while he was attending a meeting of Southern Cameroonians in Antwerpen who had invited him for a meeting after his conclave with the Consortium. 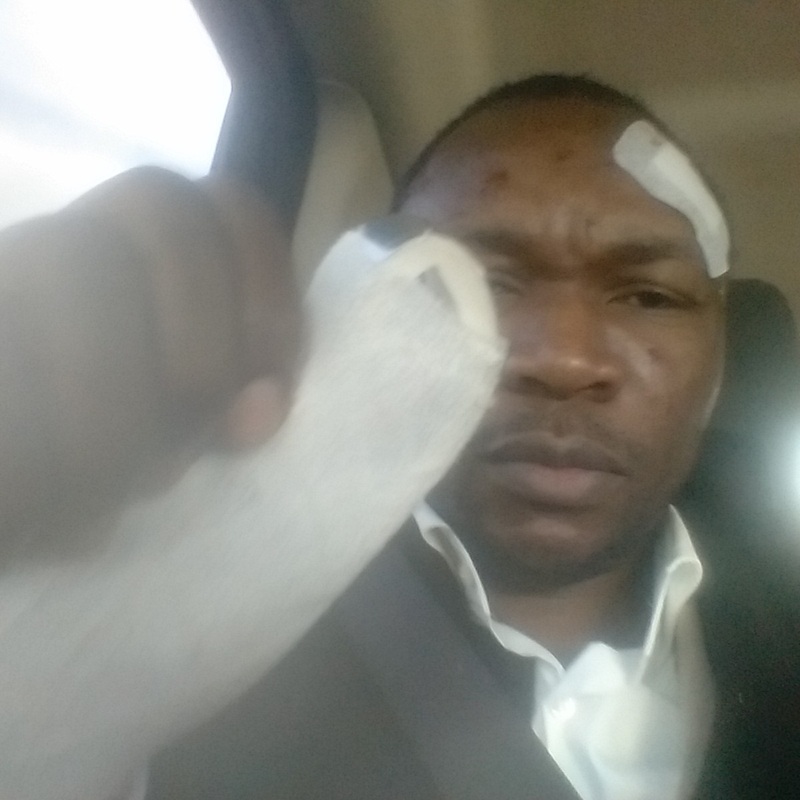 Eyewitness indicate that in attempting to separate two Southern Cameroonians involved in an altercation over a business deal gone wrong, out of nowhere, his attacker, known only as a Mr Elvis “Tempo,” supposed to hail from Kumba and not one of the two involved in the altercation, smashed a bottle in Dr Ayaba’s forehead, leaving him with a broken thumb and bleeding profusely when he ended his attack. By the time the police arrived, Mr Elvis had already escaped the scene of the crime and the police are now trying to track him down. Southern Cameroonians in Belgium and especially around Antwerpen are being urged to provide whatever information they have about this individual, including his real names to aid the police investigation and to the public, to remain vigilant as this is not believed to have been a random attack. Last week, abakwatimes received an anonymous tip from deep within La Republique Du Cameroun (LRC) that certain Southern Cameroonian leaders have been targeted for assassination. We were informed that LRC has dispatched 4 agents to their embassy in London, with instructions to carry out these assassinations. As a responsible news organization, we attempted a follow-up to garner more information but discovered that this seemed to have been a one-off tip and there was no way to establish contact with our informant. To us, the responsible thing to do was to inform those whose names were on the hit list and on top of that was the name of Dr Cho Lucas Ayaba, leader of the AGC. We could not confirm if the information we received was true or false, but we asked all those targeted to be cautious nonetheless. Do we believe that the attack on Dr Ayaba was a random attack? NO! Last week we received a tip, this week he was rushed to the Emergency Unit of ZNA Stuivenberg hospital for treatment that resulted in stitches being applied to his split head and surgery slated for tomorrow on his smashed thumb. This has all the hallmarks of La Republique Du Cameroun. A few years back, this news organization had reported on a “random” attack of the leader of the SCYL in South Africa only to have the secret police investigation into the attack leaked to it, clearly identifying this random attack to have been an assassination attempt on the SCYL leader, orchestrated by LRC with pictures and names of the individuals involved. So does this news organization believe that what almost happened in Antwerpen yesterday was random? Once again NO! We received a tip, this happened. IT IS NOT THE FIRST TIME! And so Abakwa Times can only surmise that such a government must feel that they have carte blanche given to them to act with such impunity and brazenness. Such a carte blanche must have come from only someone who is a member of the United Nations Security Council, who must be able to cover LRC behind not only at the UN but also have the pull to be able to do it in Europe and since Cameroun is a member of French Colonial Africa, France must have sanctioned these actions that LRC seem intent on carrying out. As a news organization, Abakwa Times is now calling on all other news organization covering events in the Southern Cameroons, Africa and Europe to begin exposing the descent and degeneration of the actions of the government in Cameroun to a level that bespeak a regime preparing to descend into hell in order to keep its hold on power and on a people. We do not need another Rwanda in Africa. This is the time when people of good conscience can keep this in check, not when it is too late. In the same guise, Abakwa Times is also calling on the police forces in countries where Southern Cameroonians are active and in the communities where Southern Cameroonian leaders reside to be vigilant and investigate crimes that on the surface might appear random as counter intelligence operations for more likely than not, it might be French and LRC intelligence operators acting in their communities. Ayaba has assured us that he is not in danger health wise and will continue with his program of meeting with Southern Cameroonians in Holland today ahead of his surgery tomorrow.